In Michael Crichton’s Jurasic Park, dinosaur DNA was extracted from a mosquito trapped in amber. Paleontologist Jack Horner talks about how attempts to extract dinosaur DNA in real life have not been successful. 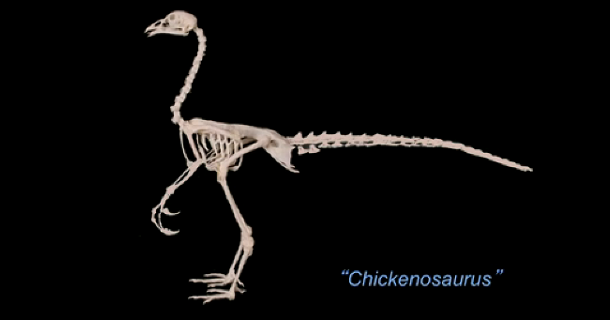 Since birds are modern dinosaurs (“You can’t argue with it because we are the classifiers, and we classify that way.”), he has instead been working on a way to make “Chikenosaurus”.